I have gone without a variable lab bench power supply for too long now. The PC power supply that I have been using to power most of my projects has been shorted out too many times - I have actually killed 2 by accident - and needs a replacement, at least for low power loads. There are now extremely cheap 5A CC Buck converters available that are perfect for something like this. I also added a Voltage and current display, a switch, and replaced the onboard 10K trim pots with regular potentiometers. I also desoldered one LED that lights up when the output is shorted (indicates constant current mode), and added some wire extensions and a 3mm LED to mount to the case. 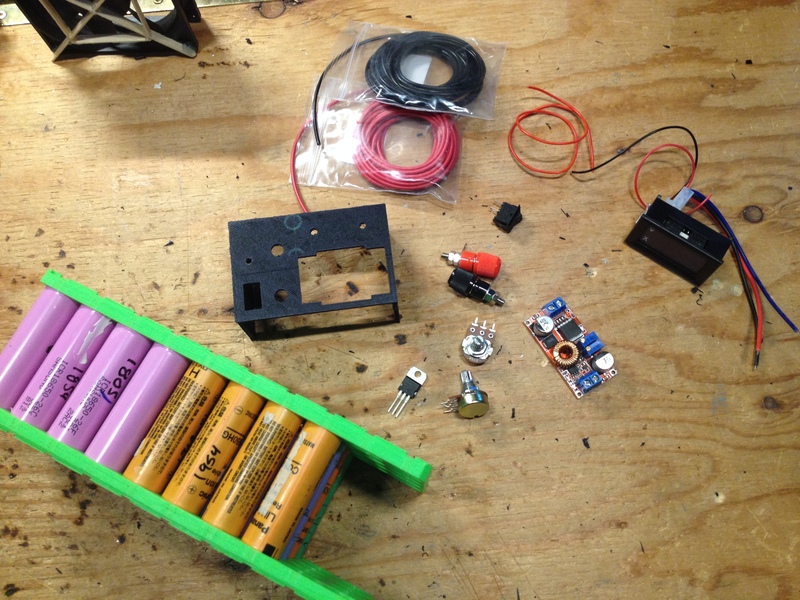 18650 batteries are lying around all over my workshop, and I needed something to do with them. I found a design for a 4S10P holder on thingiverse that I printed out and put cells in it and soldered them up with 2A fuses to give me 8S4P. 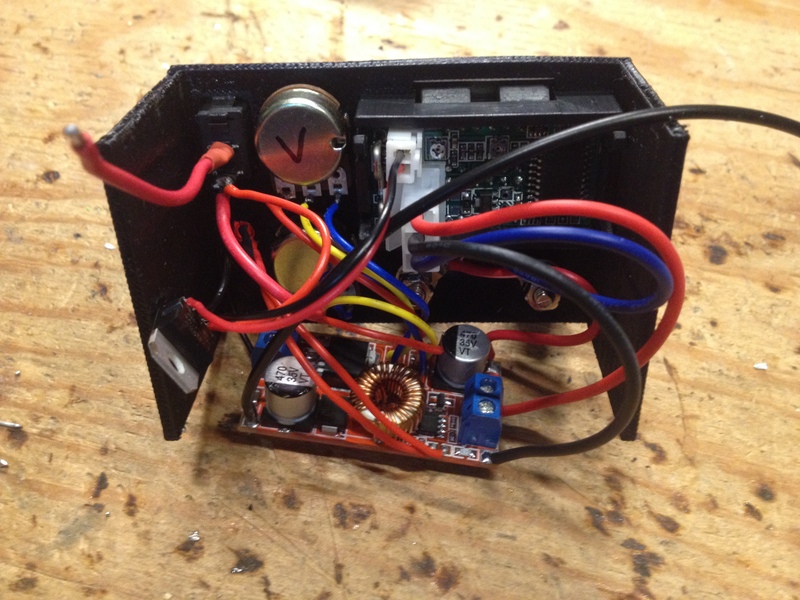 The rest of the space in the holder is used for the CC CV buck converter and other electronics. 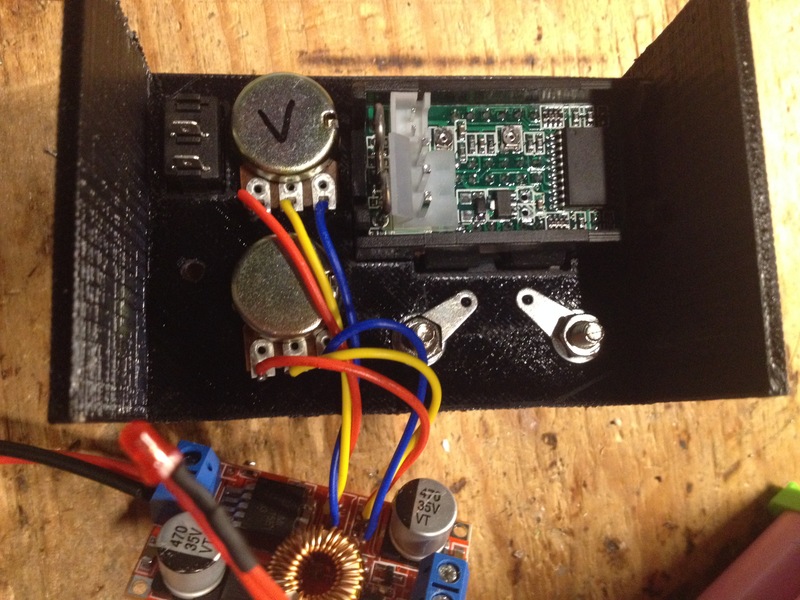 This allows the highest voltage possible for the buck converter, so we get the biggest voltage range on the output. 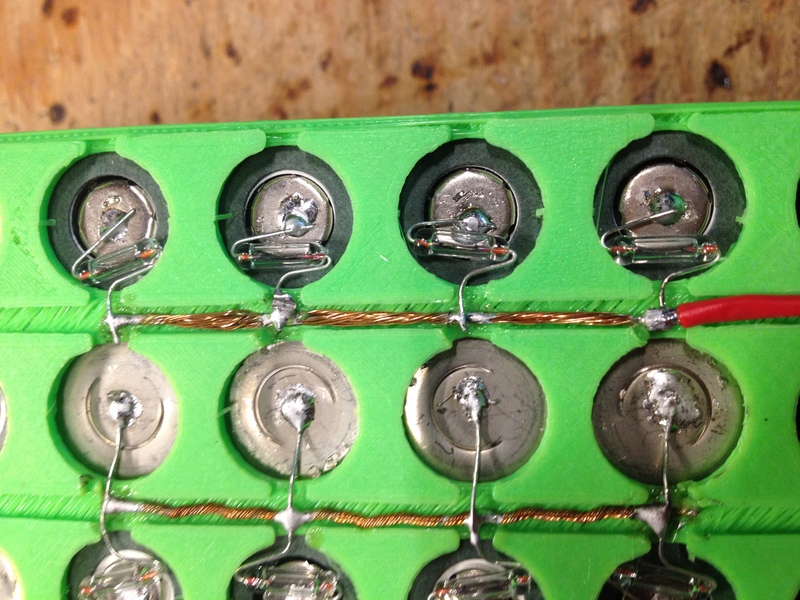 The maximum voltage will decrease and the 18650 cells are drained, but I don't anticipate needing 33V DC very often. The display is powered with 12V through a 7812 12V voltage regulator, that can handle up to 35V max input. Finishing this up, I added an XT-60 connector and a balance connector to the main battery so that I can charge it up. I also added some cardboard on the top and bottom to protect the fuses and avoid shorts. To finish it up, I printed out my logo on a used label sticker page and transferred it to the top of the battery. I have used this fairly often, mostly to simulate 18650 batteries. 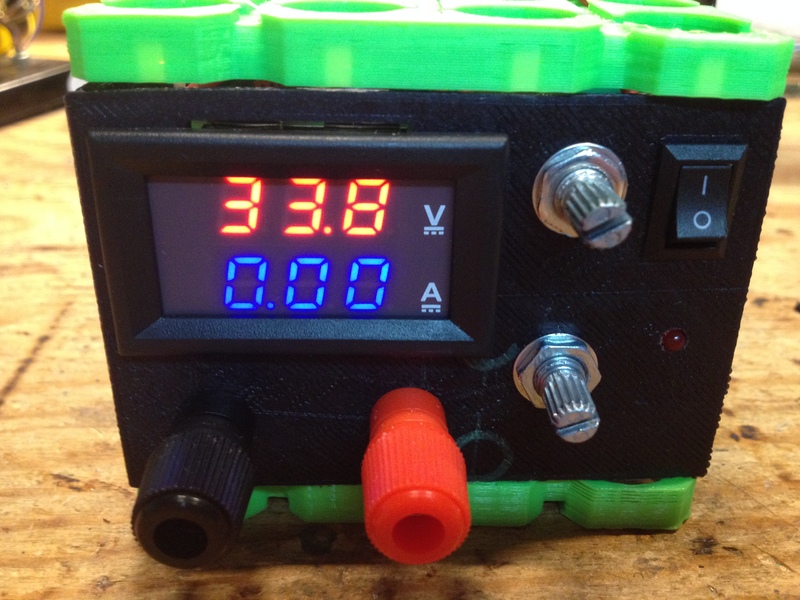 I would love to find a way to get coarse and fine adjustment on voltage and current levels, so that it is much more usable. Right now, it is fairly difficult to get an accurate voltage without the tiniest of turns on the potentiometer. I might make a similar one using the same parts, but instead of attaching it directly to a battery, use an XT-60 connector and then it can be used with any battery I want. That will need a boost converter as well to get higher voltages, but that it easily fixed.